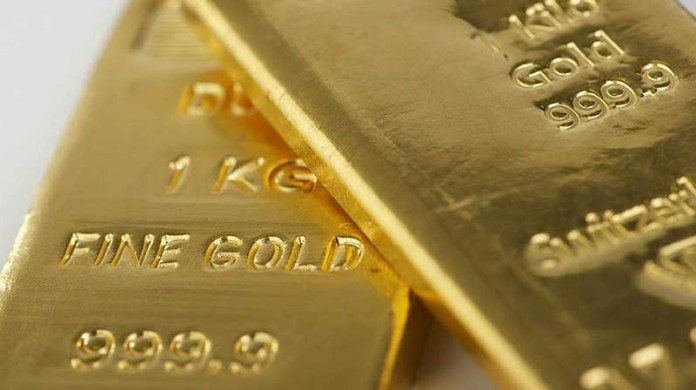 THE gold price would average $1,259 per ounce in 2017, according to the GFMS Gold Survey 2017, published by ThomsonReuters which warned, however, that volatility in the metal’s price would continue. It also said that gold production would start to taper despite another year of improvement – a performance apparently out of whack with the gold price but not illogical given the lead-time in building new gold mines. “Gold prices are likely to remain volatile in the near future, but we do expect the market to regain its composure as investors remain averse to risk,” it said. Assisting the price would be a stronger showing in demand from India which fell 38% in 2016 owing to the introduction of excise duty on jewellery manufacturing, destocking by retailers in the informal segment, and demonetisation. This would help to contain price weakness and provide a more stable backdrop for the returning investors, the survey said. “The market is not quite yet out of the woods, but the longer term prognosis is for further price gains even against the headwind of the Federal Reserve raising rates,” it said. From a mine supply perspective, the 2017 number was expected to decline this year after registering a third successive record in 2016 of some 3,222 tonnes (103 million ounces). “The rise, however, was modest and in our view these record breaking habits are close to an end,” the survey said. “The growth rate has roughly halved every year for the last three years, partly as output from new mines has slowed and we expect production to contract in 2017,” it said. This view concurs with Nick Holland, CEO of Gold Fields, who in August said a lack of investment by the gold sector was certain to lead to lower production, stimulating a higher price. In its report, GFMS said the increase in gold production last year despite the poorer price should not come as a surprise given the long lead-times required to build new mines. Mine production between 1997 and 2007 ‘flat-lined’ with a compound annual growth rate (CAGR) of 0.04% compared to a gold price which grew 6.5% over the period. When new gold production growth kicked in, between 2008 and 2016, CAGR in output was 3.4% compared to CAGR of 8.7% for the gold price. Said GFMS: “As noted above, however, we think the latest stage of growth has now run its course. 2016 marks the third consecutive year of falling year-on-year growth rates and we maintain our near term forecast for mine supply to decline in both 2017 and 2018”. Of the world’s regions, gold production from Africa marked the largest increase – of 2% – year-on-year. Gold production from Asia, the world’s largest producing region in 2016 accounting for 28% of world gold output, registered a 1.5% decline. There were declines in gold output from South American while European production was unchanged. North American posted a 1.7% increase in gold production. South Africa had a relatively good year with output only slightly lower – down 0.7% year-on-year – compared to regular annual declines in the region of 10 tonnes. “Like South Africa, output in Ghana, Africa;s second largest producer, was only a fraction lower with a drop of 0.1% and as a result the country maintained its rank as tenth largest in 2016,” said GFMS.